The Celebrate Learning desk nameplates for students provide an easy way to label and organize your classroom. 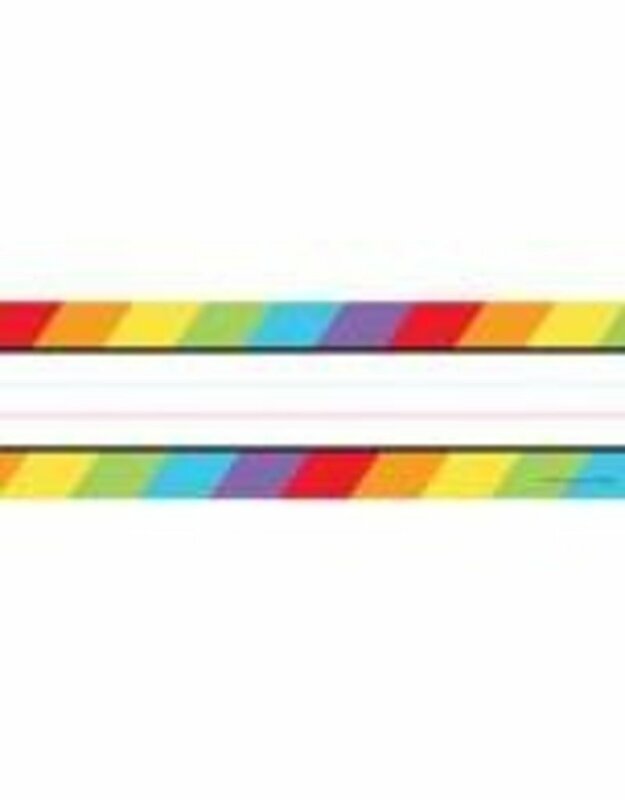 This pack includes 36 desk nameplates—each featuring rainbow striped borders and measuring 9.5" x 2.875". Nameplates are ideal for making desk or cubby assignments and labeling classroom essentials. With a variety of themes and colors available, Carson-Dellosa’s collection of classroom desk nameplates offers something for everyone! To create a cohesive classroom theme, check out more Celebrate Learning products.